I write this from a poor fishing village on the Black Sea, about 120kms from Istanbul. There are 8 street dogs outside on the road but they don’t move for cars. One of those dogs guarded our truck last night. They are not territorial like the city dogs and they don’t bark all night. The cafe is full of men drinking tea and occasionally playing cards. The summer fishing season has ended yet a few boats go out early in the morning and return at 5pm with meager amounts of small fish. They must be operating at a loss. Perhaps they are subsidised? Perhaps the fishermen just need something to do. There is no wifi signal here so I will post this at another date. Two days ago we were in Edirne, not far from the border to Bulgaria and Greece. The Turkish authorities were using the stadium to house many of the refugee but these were moved away from Edirne to, or so they tell me, the bigger cities of Istanbul, Adana and Izmir. Refugees are now no longer to be seen in the city although there are accounts of some of them inside houses of generous people. 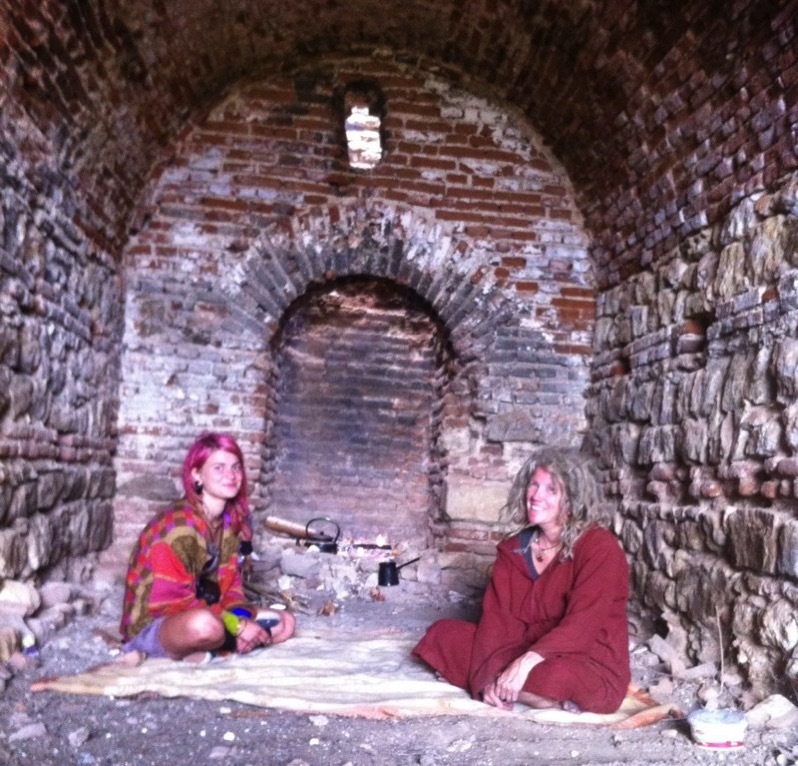 Near Edirne we found some old brick barns to camp next to. Nice place to camp, until the police moved us on. We have pulled back to a fishing village on Turkey’s Black Sea, about 120kms from Istanbul. The last few weeks have seen some intense times. We have been moved off by the police on many occasions not just in Turkey but also in Serbia and Hungary. Most times they check all our passports and it takes a long time. The Turkish police were quite friendly to us and took photos of themselves next to our truck. The Turkish are a friendly people. At the fishing town where we are currently parked up, I have been to the cafe a few times but never able to buy tea because someone always buys it for me. Last night we were given a large bag of fish by the portmaster. Sometimes the subject of Gallipoli comes up and they call me “Anzac”. I remind them that the New Zealanders and Australians fighting here a century ago felt a friendly connection to the Turks that was unexpected and actually caused the English to send many troops away and replace the with new soldiers since they were not motivated to fight the Turks. In many ways, both New Zealand and Turkey discovered themselves during that war and entered a new era with a new identity after the war.